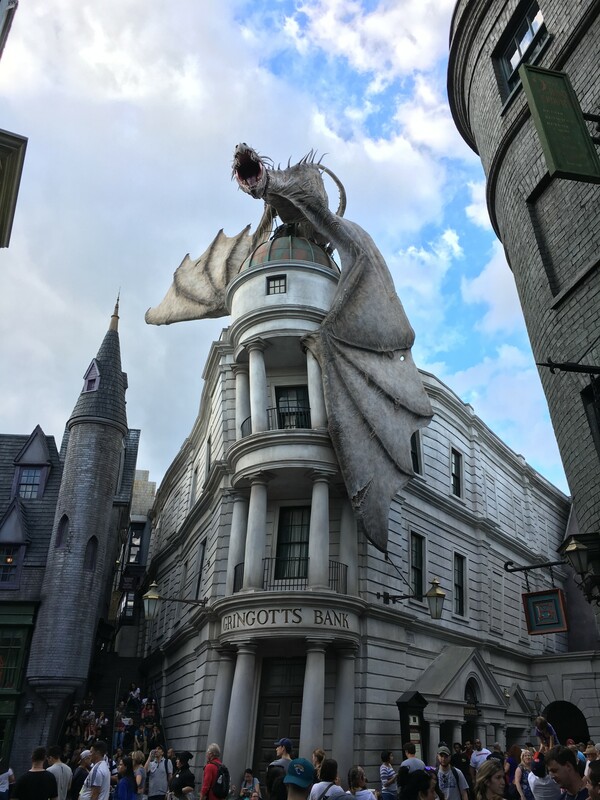 Get ready for unforgettable thrills when you enter Gringotts bank and find yourself swept into a breathtaking, mind-blowing, 3D multi-dimensional ride! 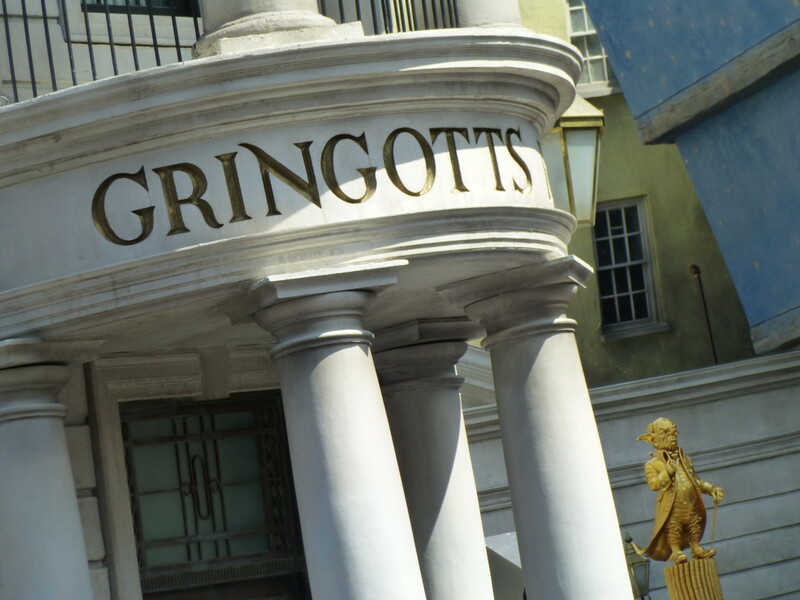 Enter Gringotts bank beneath the massive fire-breathing dragon at the far end of Diagon Alley. Inside Gringotts you’ll walk through the bank’s grand marble lobby and see goblins hard at work. Then, get ready to take a journey through cavernous passageways that lead deep underground as you climb aboard Harry Potter and the Escape from Gringotts. This multi-dimensional 3D thrill ride puts you right in the middle of the action as you face the bank’s stringent security measures while navigating the perilous underground vaults. You’ll encounter Harry, Ron, and Hermione along the way, but you’ll have to evade the wrath of malicious villains Voldemort and Bellatrix as well as trolls and other creatures who stand between you and a safe return to Diagon Alley. Ride this attraction as early in the day as possible to avoid a long wait. Also open for early park admission. Single rider line is also available, but skips the pre-show as well as the elevator ride down to the vaults, a must-do part of the attraction at least once! 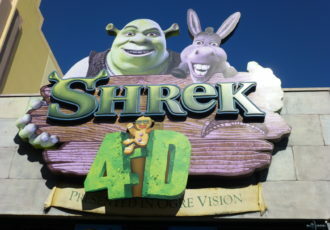 While the coaster ride itself is actually quite tame, the included visuals can be frightening for children, armored trolls, simulated falling, simulated fire effects, and Lord Voldemort threatening to kill you! Fans of Harry Potter should enjoy the ride at any age though! Sit in the very front to avoid much of the first drop, the only part of the coaster track that could really be considered intense for non-coaster fans. This ride, as is much of Diagon Alley, sits where the JAWS ride and Amity Island area once stood. An area that opened with the park.